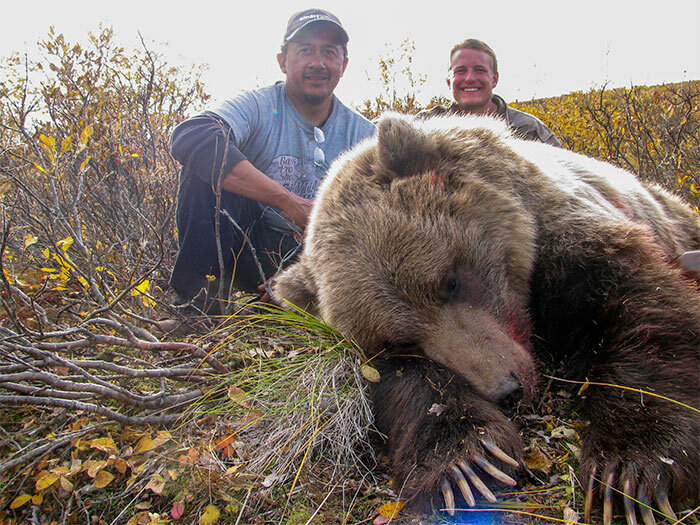 You will never find a more unique grizzly bear hunt anywhere than we offer you in the Brooks Range. 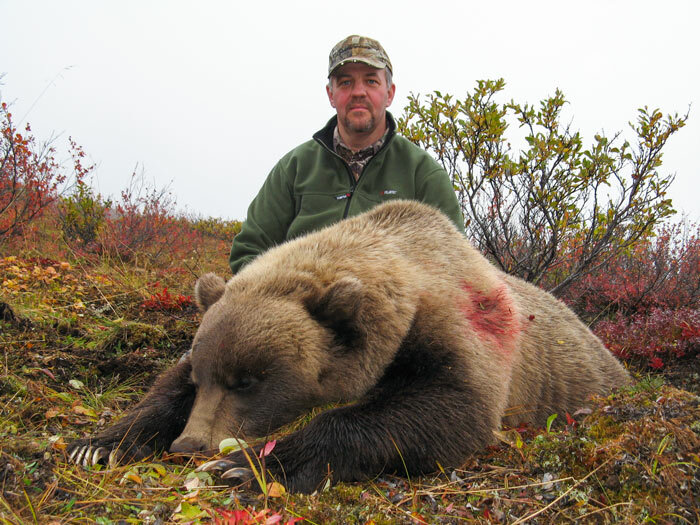 These hunts are exhilarating, physically demanding, and located in the most beautiful country in all of Alaska. 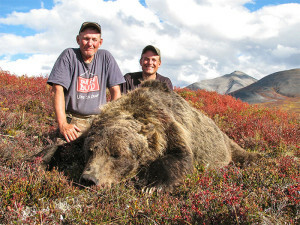 Inland grizzly bears are a very beautiful trophy. 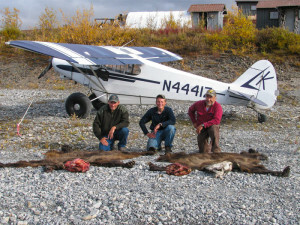 Their color ranges from dark chocolate to an almost white-blonde. 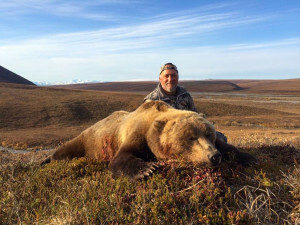 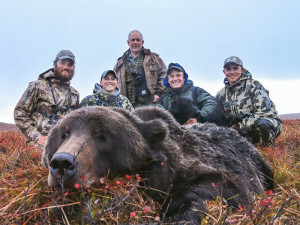 Grizzly bear hunting in Alaska is truly a hunt of a lifetime. Our grizzly bear hunts start when we pick you up in Prudhoe bay and shuttle you out to our lodge in the Brooks Range which we use as a base camp. 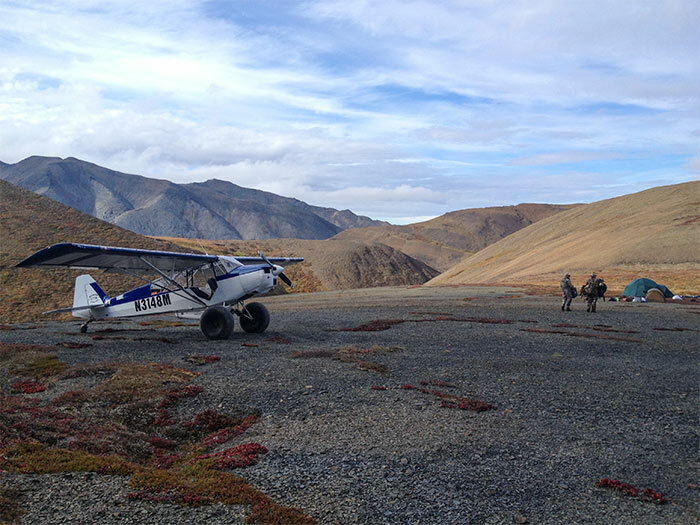 Prep your gear and relax before being shuttle out to the bush and your very comfortable spike camp. 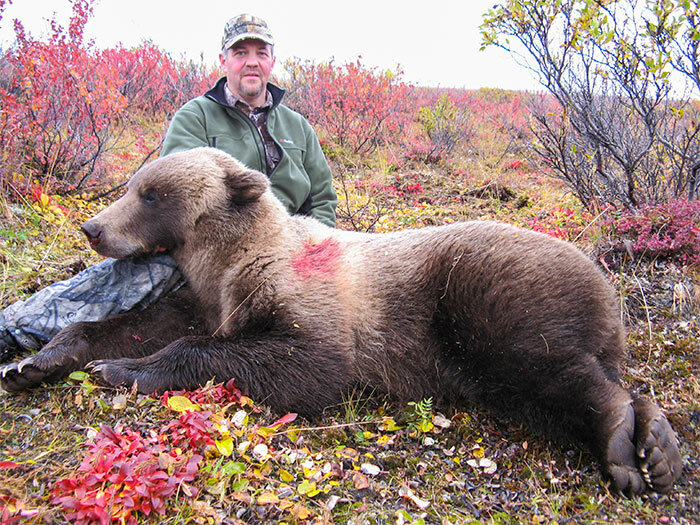 Your days will be spent glassing for a mature bear and then stalking to within range where a good shot can be taken. Our hunting area boasts a good population of bears and we hold a very high success rate. 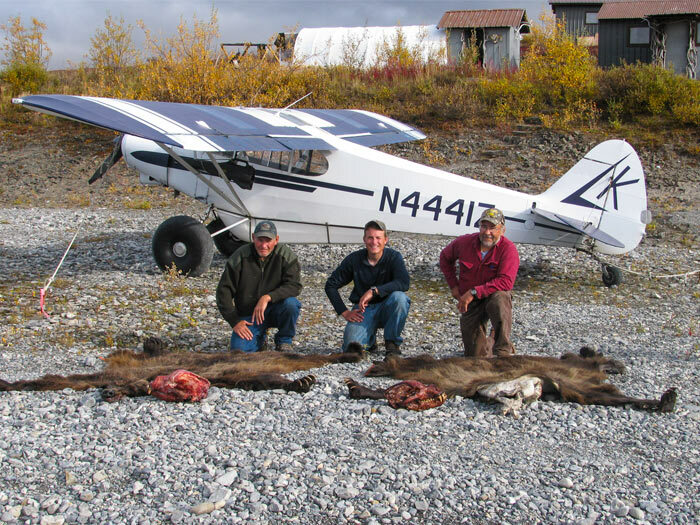 For some, this is an Alaska hunt of a lifetime and we treat each hunt as such. 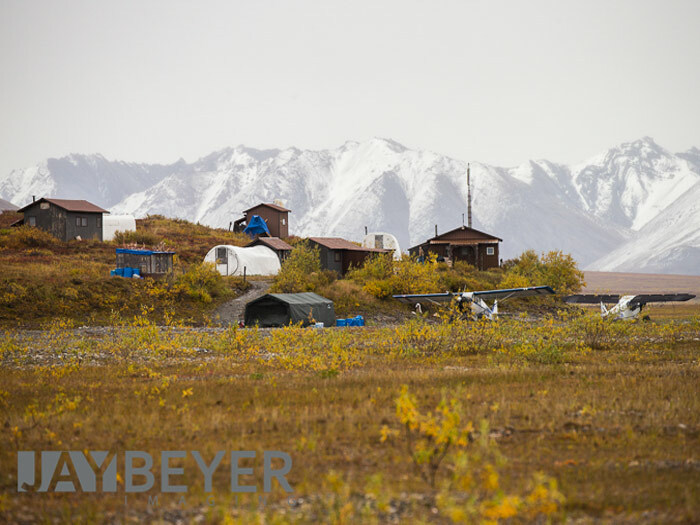 We understand that planning can be overwhelming so we encourage you to reach out and ask questions. We have spent years learning the area and creating working relationships that allow us to offer these hunts with little effort on your part. 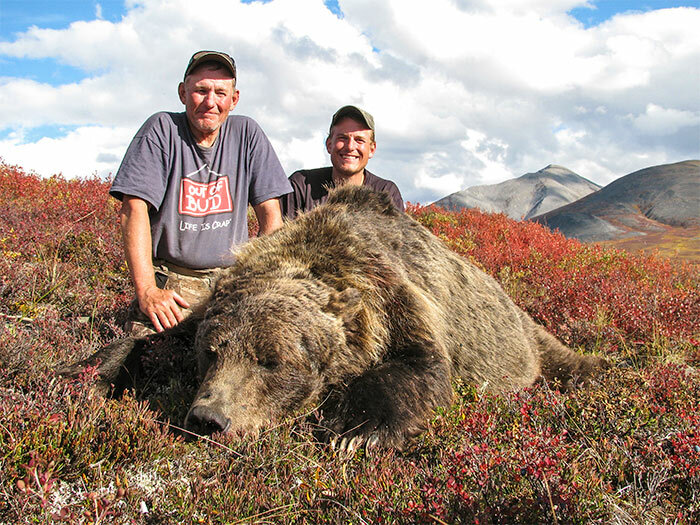 Please get in touch to learn more about our Guided Arctic Griz hunts. 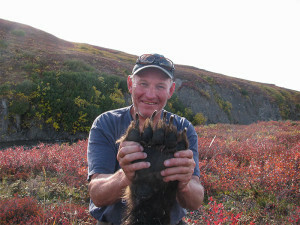 No question is too small! 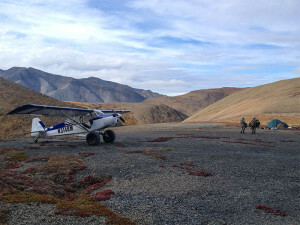 Basecamp is our remote lodge located in the Brooks Range. 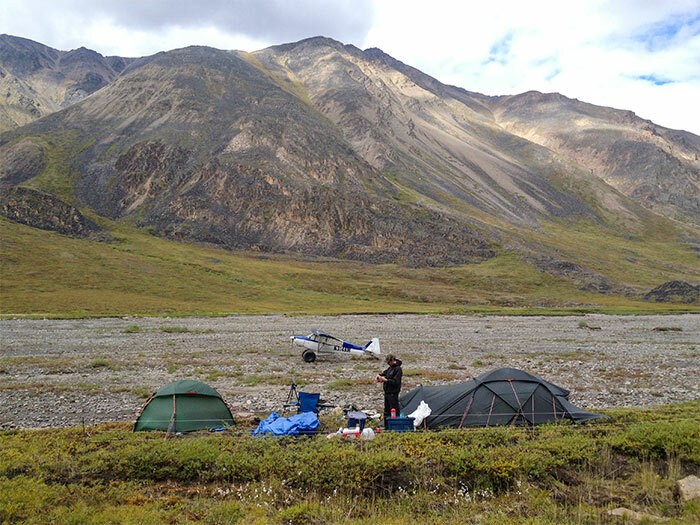 We have a full time cook, hot showers, laundry and WiFi.